The University of Oslo (Norwegian: Universitetet i Oslo, Latin: Universitas Osloensis) is the oldest, largest and most prestigious university in Norway, situated in the Norwegian capital of Oslo. It is considered the only Norwegian world-class research university. It was founded in 1811 as The Royal Frederick University (in Norwegian Det Kongelige Frederiks Universitet and in Latin Universitas Regia Fredericiana). The university was modelled after the recently established University of Berlin, and originally named after King Frederick of Denmark and Norway. It received its current name in 1939. The university has faculties of (Lutheran) Theology, Law, Medicine, Humanities, Mathematics and Natural Sciences, Dentistry, Social Sciences, and Education. The Faculty of Law is still located at the old campus on Karl Johans gate, near the National Theatre, the Royal Palace, and the Parliament, while most of the other faculties are located at a modern campus area called Blindern, erected from the 1930s. The Faculty of Medicine is split between several university hospitals in the Oslo area. Currently the university has about 25,000 students and employs about 4,600 people. 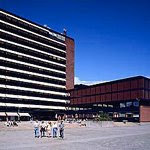 It is considered one of the leading universities of Scandinavia. In 2007 the University of Oslo was ranked as the best university in Norway, the 19th best in Europe and 69th best in the world in the Academic Ranking of World Universities. Also, in 2005 its faculty of humanities was ranked as the best in the Nordic countries, the 5th best in Europe and the 16th best in the world by the Times Higher Education Supplement. In 2008, the university was ranked as the 177th best by Times, with the Faculty of Social Sciences ranked the 104th best in the world. Until the founding of the University in 1811, the University of Copenhagen was the only university of Denmark-Norway. After the dissolution of the Dano-Norwegian union in 1814, close academic ties between the countries have been maintained. The University of Oslo was the only university in Norway until 1946, and hence informally often known as simply "The University". The University of Oslo is home to five Nobel Prize winners, with one of the Nobel Prizes (the Nobel Peace Prize) itself being awarded in the city of Oslo, close to the Faculty of Law. As a satellite of the modest Danish kingdom until early in the 19th century, Norway was understandably not among the first places to found a university. The larger kingdoms of medieval Europe – Italy, France, England – established their first universities as early as the 12th century. The Scandinavian monarchies, Sweden and Denmark at the time, opened their first universities at Uppsala in 1477 and at Copenhagen in 1479, respectively. 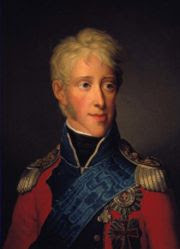 In 1811, the Danish monarch King Frederick VI granted Norway the right to found its own university. Originally, the campus was to be located in Kongsberg – a regional city 55 kilometres south-west of Oslo. By 1812, the authorities decided on Oslo instead. Today, almost 40,000 people work and study at the University of Oslo, while the current population of Kongsberg hovers around 22,000 people. In retrospect, you could say things turned out for the better, both for the University and for Kongsberg. Det Kongelige Frederiks Universitet (The Royal Frederick University) opened in Oslo in 1813. At the start, conditions were meagre; classes were held in rented buildings. There were, however, only 17 students and 6 teachers at that time – basically less than the smallest department of the smallest faculty today. The early modest period persisted for almost half a century, before the University had its own building complex. By 1852, the first university buildings on Oslo’s main boulevard, Karl Johans gate (then Slotsveien), stood completed. Nonetheless, the pace of growth among the student body was so dramatic that, by the 1900s, there was again a scarcity of instructional room. In 1923, university administrators and the Norwegian government agreed to develop a new campus just outside of the downtown area in a neighbourhood called Blindern. Because of an economic recession, however, the plans were shelved. Only in 1931 could the first institutes move to the new campus. Shortly thereafter, in 1939, the university changed its name to the University of Oslo or Universitas Osloensis. In the 1960s the Greater Blindern area was developed. This area is today associated by most people as the centre of the University of Oslo. The administration, welfare, humanities, social sciences and natural sciences buildings are located here. The student body increased rapidly during this period, approaching the 20,000-student watermark by the 1970s. This number remained stable for a while, but new growth in recent years has pushed the figure even higher. Today there are approx. 30,000 students at the University of Oslo, down from almost 40,000 a couple of years ago.